Whereas Herbert von Karajan opened career doors for Anne-Sophie Mutter, Paul Sacher never stopped leading her through the labyrinth of twentieth century music. 1998, at the age of 92, the great musician and patron reminisces. G. Gad: From the viewpoint of the creative power of art, which period of our century do you believe has been the most important? P. Sacher: Without creativity our lives would be impoverished. The uncreative periods are chaotic periods in which the world finds itself in danger. The moments when creativity flourishes and chaos is left behind are wonderful. GG: Is then chaos necessary? PS: Everything emerges from chaos, but it does not have to last too long. When an artist like Anne-Sophie Mutter interprets the works of masters and recreates them, she becomes the expression of our times. GG: Isn't it true that when she performs she does little more than suggest the creative power of the composition, or is she at the moment the creator? PS: Both. Her play is a work of art in itself and detracts from the notion that an artist cannot be described as a genius. A.-S. Mutter: How do you define a creative period? PS: There is no definition for it. At best one can speak of impressions. Looking back at the time when Sacre du Printemps was created, the time seemed extraordinary to us. But the explosion which we are now experiencing will perhaps be the golden age for our grandchildren. GG: Can one speak of progress when it comes to music? PS: We cannot grasp it immediately. The Sacre arrived like a bomb. Only in retrospect has one determined what this master work has meant to music. 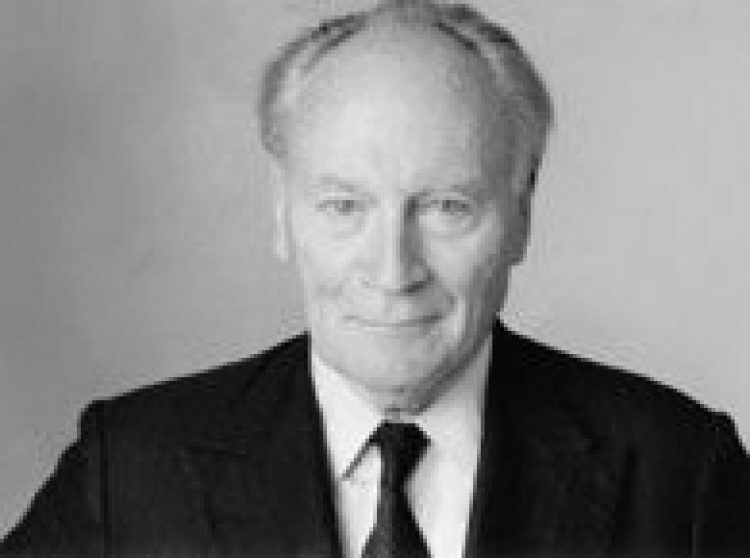 GG: Of all the master works, which you brought to life and which have been dedicated to you, is there one of which you are especially proud? PS: To select one work would be to negate all the others. I am proud of all these works, because, regardless of the outcome, each one has demonstrated that it is a master work in itself. ASM: Have all the pieces, which were commissioned by you, been performed? PS: All of them. And that makes over 300 pieces. GG: Are there some which have been unjustifiably forgotten? PS: None occur to me, but there are surely some. For example, I admire the music of Honegger, and I wonder, why it isn’t played more often, particularly in Germany. I think some works fall from heaven at the right time and some don’t. The latter may be recognized when the time at right, although one may not remember that they have existed for a long time. I hope to be there when this moment happens for Honegger. It would too bad if only his Jeanne D’Arc were remembered, which, by the way, is beautiful. GG: Contrarily, it seems that the "right time" for Henri Dutilleux has come. PS: I admire Dutilleux very much, but I don’t think he will ever achieve fame. GG: How would you analyze the significance of Pierre Boulez within the music environment of our times – as both a composer and a promoter? PS: He has always had a lot of success as a promoter, because, in spite of his distance to others, he strongly believes in what he does. John Cage a lot like him. He was even more extraordinary as a promoter than as a composer. His ideas were master works themselves. We wanted to purchase what he left behind after his death, but something unforeseen has hindered us. A women, who worked on his creative works, insists on continuing to perform the function of curator. ASM: You have created a foundation to collect the works of composers so that they will always exist, haven’t you? PS: Yes. But you can imagine that if I had to take care of the curator in every case, I would be running a hotel. GG: Whenever you have acquired the original scores, what did your work then consist of? PS: Six musicologists continually work on the manuscripts which we own, and six librarians manage the collection and take measures to make sure that these treasures will never be lost. ASM: Do you own manuscripts of Bartók? PS: At this time several. But Peter Bartók promised to give the "American" archive of his father to the foundation, which comprises slightly more than half of his collection. Bartók had two sons from two different marriages, and we will never get those which are managed by his son in Budapest. ASM: Have you ever commissioned anything from Bartók? PS: Ja, oft. – Er antwortete immer, dass er vor allem Klavierlehrer wäre, und dass er nur in seinen Ferien komponieren würde. Der Grund, warum er soviel in der Schweiz komponiert hat, ist, dass er dort seine Ferien verbracht hat. GG: What memories do you have of him? PS: Everything was simple and open with him, because he wanted it that way. One could not imagine him ever telling a lie. Only a few people have the ability to make such an impression. PS: He was a genuine Russian, but he was happy wherever he was able to compose. He was a wonder in every respect. What other composer could begin composing with the 12-tone system at the age of 80? What really impressed me was that this man, who could not resist anything, was so devout and so modest in his faith. GG: Is faith necessary connected with modesty? PS: For Strawinsky God was a reality and religion was necessary for life. We have observed this same phenomenon in Olivier Messiaen. Faith in God is a question of inner strength and emanates from the same logic as artistic creativity. A devout artist, modest in his belief is an exception. ASM: This was not the case with Richard Strauss. PS: I got to know Strauss in Munich after the war. Everything which meant anything to him had been destroyed. He didn’t know how he would survive, although he had been so rich and so frequently performed. At the time he would copy his scores by hand and sell them. When I met him for the first time, he told me, "I have just read the complete works of Goethe for the second time." "How did you find the time? ", I asked him. His only answer was: "One cannot spend his time continually conducting an orchestra." When I asked him, if he would compose something for me, he simply replied: "My wife would like to meet you, but she is sick. You have to visit her in her room." I went to her and after five minutes Strauss said: "She agrees. I will compose something for you." So he wrote Metamorphoses. When the piece was being rehearsed in Zurich by the Collegium Musicum, he let me know that he wouldn’t be coming to the concert, but that he would like to come to a rehearsal. Then he asked to conduct the orchestra. He stepped up to the podium and started without saying a word. At the end he said: "Ladies and Gentlemen, I thank you." And then sat down. ASM: Lutoslawski was also capable of such things. When I rehearsed his Concerto for Violins, he was in the concert hall, attentive but too timid to make any comments. PS: Strauss was not timid. What was missing was a physical contact with his work. ASM: It must be frustrating to compose something and never experience it. GG: Which of the activities, to which you have dedicated your life, is the most important to you? Is it the musician (the founder of three orchestras), the educator, or the patron? ASM: How did you come upon the idea of commissioning works? PS: It’s very simple. Seventy years ago I was 20 years old. I wanted to play unknown works, particularly those from the 18th and 19th centuries. At that time the symphonies of Hayden were partly unknown, and the scores were hard to find, and, of course, there were no recordings. As soon as one wandered from the Londoniennes, the adventure began. Once one got a hold of the scores, the various parts had to be copied by hand in order to have the orchestra material. It took months! Then I thought that it would be much easier to commission new works, which would be suitable for our musicians and their expertise. Basically custom work, musical "haute couture". GG: And what do you think of the movement to reinterpret baroque? PS: What I like about the old instruments is their relationship with each other. For example, violas come in soprano, alto, tenor, and bass, thereby encompassing the complete scale. It is something special to listen to a piece by Purcell with his 4 violas. It is a pure acoustical joy. GG: And what about the interpretations? Can one play the concertos of Mozart with old instruments? PS: No, that doesn't work. ASM: Without vibrato one loses a lot of color and emotion. PS: It is very useful to conduct such experiments. But what does the music give us? The Future of a piece is determined by the way it is played in each era and not the return to a hypothetical authenticity. To understand a score better, one must know, of course, all of the conditions and instrumental technique on which it depends. But does one perform Shakespeare today as it was performed in the Globe Theatre? ASM: Did you know Schoenberg? PS: No. I missed everything in that generation. Schoenberg emigrated too soon, and Alban Berg died too soon. GG: If you had known them, what would you have expected from them? PS: To write music, nothing more. But one can not go against fate. GG: You do not seem to be very enthusiastic about opera? PS: I have in spite of that considerable experience in this area. I conducted several years at the Glyndebourne Festival, where the working conditions are extraordinarily good. I don’t believe, that the opera has spoken its last word. The mixture of plot and music is too rich to give it up. Regardless of what one says about it, the opera remains the completion of a career: Reimann, Maessian and Ligeti have composed operas. Halffter is in the process of composing one, and Boulez has been looking for a lyricist forever. ASM: Apropos Halffter: What do you think of the flourishing of Spanish music at the moment? PS: It began, with special thanks to Halffter, 40 years ago. GG: Has the quality of orchestras in the course of the last half-century improved? PS: From a technical point of view, a great deal. The musicians are ambitious. Today, one sees orchestras with young people who are as ready and eager as the oldest members of the orchestra to follow the direction of the conductor. As with the Vienna Philharmonic, they have a continually lesser need for a boss, who controls them. GG: Has training also improved? PS: Certainly. And thus the growing quality of the musicians. And if Anne-Sophie finds the time to teach, it will even be better. 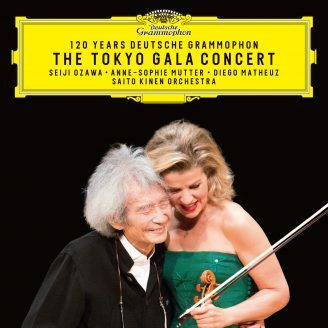 GG: What impressed you so spontaneously about Anne-Sophie Mutter? PS: Her extraordinary talent and the certainty, which she applies to her work. Boulez is writing a concerto for her It will last a half-hour. Isn't that proof of her amazing ability? GG: How did meet her? PS: I heard her perform when she was 13 or 14. I had to cry.